How does Facebook determine what to show in your News Feed? It has everything to do with their News Feed Algorithm. Similar to how Google has algorithms that determine the best search results to display, Facebook has an incredibly sophisticated algorithm used to surface relevant and engaging content to its users in their feeds. To understand the algorithm is a challenge in itself, but having an understanding of how the algorithm works can help you as an individual, or brand when creating content that you want to reach your friends, family, fans and customers. 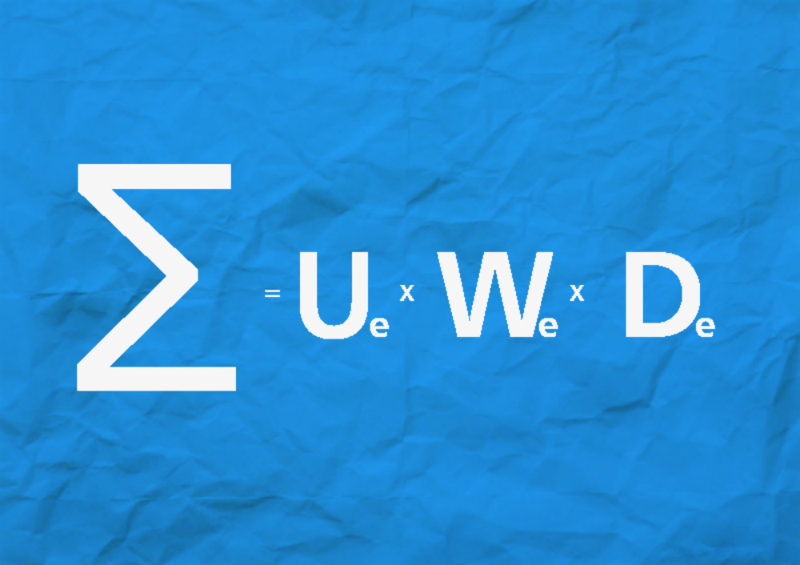 “EdgeRank” was the name commonly given to the News Feed algorithm that Facebook used to determine what pieces of content should be displayed in a user’s News Feed in the past. In 2013, Facebook stopped using the “EdgeRank” term when referring to its News Feed ranking algorithm, and from mid 2013-present started using an algorithm that takes more than 100,000 factors into account in addition to EdgeRank’s original three ranking factors. ∑ – The sum of each individual edge. An “edge” is a story that can show up in your News Feed, like a status update, comment, like, tag, video, etc. u – Affinity score. This is the factor that weighs how close you are with the person doing the posting. If you frequently interact with the person posting, have several mutual friends, or are related, Facebook is more likely to give that content a higher value when determining rank. w – Weight for of an edge. Not all edges are considered equal in the eyes of Facebook’s algorithm. For example, a friend creating a status update would carry more weight than someone simply “liking” a status update. d – Time decay. As a post gets older, it’s more likely that it has already been seen or that it is no longer as relevant. Facebook remedied both of these issues by taking the age of a post into consideration. Back in the day Facebook essentially “turned knobs” when they made changes and improvements to the algorithm above, essentially turning the weight of different types of content up or down. While this worked early on, as the number of users (both personal and business) increased on Facebook, the algorithm started to perform poorly. With the News Feed often becoming a cluttered place that provided less and less “contextual” value for individual users as content creation increased on the platform, and in turn could lead to reduced engagement. Those users are using dozens of different devices with different capabilities for displaying content, they’ve liked an ever increasing amount of pages, groups, and have formed many new connections with friends etc. There are now 30+ million business pages, a number that was half that size only a couple of years ago. All of them are actively looking for attention and a way to show up the News Feed as often as possible. With numbers like those, Facebook determined that the typical user had about 1,500+ stories that “could” show up in their News Feed during every visit. While Affinity, Weight & Time Decay were originally (and are still) important, it had become necessary to have a much more sophisticated way of ranking edges. The solution was the updated News Feed Algorithm. The New algorithm expanded on EdgeRank greatly, essentially creating multiple weight levels across the board and taking a lot more information into account when determining “relevance”. Essentially in today’s algorithm you have lots of sub categories of affinity, weight and time decay layered on top of and in addition to lots of other important factors, like content type, posting history, interactions, device type and connection speed to name a few. While many of the methods that Facebook uses to adjust the News Feed are proprietary and not available to the public, Facebook has become a lot more transparent and does share a lot of information with publishers in terms of best practices. How popular (Liked, commented on, shared, clicked) a post creator’s previous posts were with their audience. How popular a post is with everyone who already saw it. Does the type of post (status update, photo, video, link) match the types that have been popular with the viewer in the past. How recently was the post published. Another factor used in the Algorithm is the relationship settings that Facebook users can apply to their friends. With each friend, you have the option to label the person a “close friend” or “acquaintance” or add them to another list. With liked pages, users have options to “Get notifications” or “Receive updates,” with deeper settings to control what kind of content the user wants to see. Most users overlook (or don’t find) these settings and don’t understand their importance, but using the lists and settings greatly improves the News Feed experience of a user. When users go through the trouble of telling Facebook more about their relationships, Facebook will factor in those things and use that as an additional measure in its algorithm when determining what content to display. Facebook looks at “global interactions” too, and those can outweigh any individuals personal interactions if the signal is strong enough. As an example, if Facebook shows a status update to 1000 users, but only a couple of them interact with it, the algorithm may decide not show it in your News Feed. But if a lot of people are interacting with it they may decide to show the story. The News Feed algorithm takes into account the type of posts that each user tends to like, while also having its own preference on what types of content are more important. Users that often interact with photo posts are more likely to see more photo posts in the News Feed, and users that tend to click more on links will see more posts with links. Facebook has stated as of late that it prefers links over all content – but keep an eye out for video as well, as this content type is skyrocketing in popularity. That determination on post type is not just made on a “global” level i.e. Facebook will look at what types of posts you interact with the most from each individual friend you have. So when Facebook Page owners continually publish one “type” of post… they are likely not going to have those posts seen by fans that interact with other types of posts. The key here as a publisher is to blend your content to appeal to users that may favor different content types. Too much of one content type may limit your audience long term. Yes, the News Feed algorithm even considers what device is being used and things like the speed of a user’s internet connection when deciding what story/edge to show. Facebook knows that some content types don’t perform as well with Facebook users on certain devices. The technical limitations of older phones on slower connections make it impossible to show content like video – a user that meets this criteria may not be shown many video posts. An increasing amount of Facebook users are using smartphones when they use the service, if your content is not optimized to display well on a mobile phone and specifically within the facebook app – Facebook will view your content as not as important for those users. This works both ways though and in some cases can help certain post types: as an example if a user has a slow internet connection, Facebook will likely show more text updates. All this is done in an effort to surface users with content that they can “easily” engage with. News Feed visibility is also impacted by a users’ ability to hide posts or mark them as spam. It’s not as simple as there being a set threshold that will cause posts to stop showing in users’ News Feeds. Every single story/edge gets evaluated. For every story published, Facebook does the same computation: Given this specific story, and given this specific user’s history, what is the probability that this specific user will like this story? What’s the probably that the user may hide it? All of the above is done in an effort to determine if there will be a “net positive” (e.g. an interaction) result from showing the story in a users feed. There’s also an element of decay when considering posts that have been hidden. Recent “hides” may carry more weight when deciding if a post shows in the News Feed, but those “hides” will have less impact as they decay over time. Contrary to popular belief… The News Feed algorithm is completely separate from the algorithm that decides what ads to show, when to show ads, and where to show them. 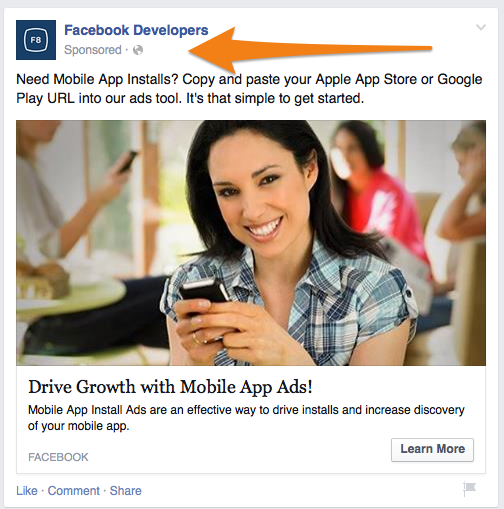 That said “how” a user interacts with Facebook ads can influence “what” appears in the News Feed. Story Bumping bends the old time “decay” rules a little by giving older, unseen posts a “second chance” at News Feed visibility if they are still getting some interaction – if you’ve seen posts from a day or so ago show up in your feed – this is why. Last Actor puts a premium on recency. Facebook is continually tracking a user’s most recent 50 interactions and gives those interactions more weight when deciding the weight of content to show in the News Feed going forward. This works and is evaluated on a ongoing basis, so the value of an interaction will decline after the user has made 50 more recent interactions. Facebook is constantly making adjustments and optimizations to its News Feed algorithm to make sure it’s showing users what they want to see and are continually improving the experience of each user, so it can be incredibly difficult to pinpoint exactly what makes up the exact formula at any give time…. 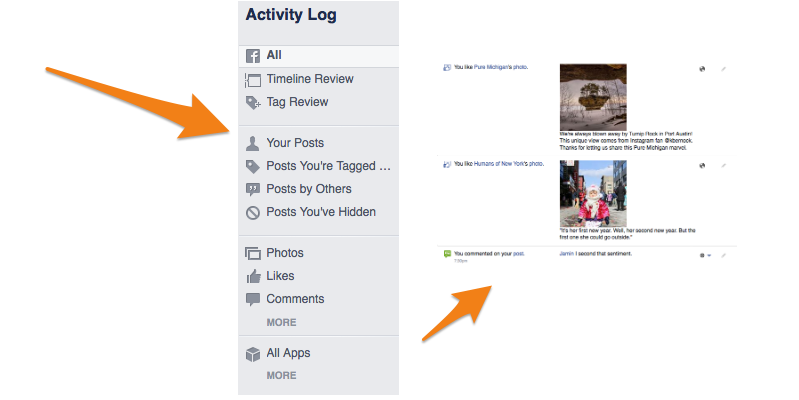 but you can follow all of the News Feed adjustments on the Facebook blog under the News Feed FYI Series. Facebook realized that some posts are only interesting at certain times, so it made two updates. One was to show posts about trending topics higher in the feed. The second change was to not only look at how much engagement a post got, but when the post got engagement. Based on results from a huge survey, Facebook found that users were getting annoyed with Pages that only seemed to promote their own products or services. Posts that solely pushed people to a product, asked people to enter promotions, or reused the exact same content from their ads saw a huge decrease in their organic reach. Why is the algorithm important? Simply put: Do you enjoy quality content? Imagine that you only have 5 minutes of your day to check Facebook… OK… that’s an unlikely scenario… BUT… Would you rather spend that time reading a status update that is promoting a product or service, or would you rather look at what some of your friends and family are up to? Today Facebook is aiming to create a better experience, and for better or worse, that experience doesn’t include individuals being aggressively targeted by ads (even though you may feel like you are continually shown them.) The fact of the matter is that early adopters of Facebooks advertising platform lucked out and were able to garner huge engagement and reach numbers at a low cost, that’s not the story today. Everyone has to earn their space in the News Feed today. If you publish posts that are interesting enough to get likes, comments, shares, and clicks, your reach increases. If your posts bore people and are ignored, scrolled past, your reach decreases. With the natural trend being that reach will shrink as competition grows, Pages have to work harder and harder to stay visible and create compelling experiences and content. Why do people dislike and complain about the algorithm? In reality the “average” Facebook user doesn’t care at all about the News Feed algorithm. Matter of fact, every single update Facebook has made to the algorithm, has led to an increase in overall engagement. The biggest arguments against the algorithm have been from brands/companies. Every Page on Facebook wants everything they post to be shown to everyone. But the fact of the matter is people only consume a limited amount of News Feed per day…. 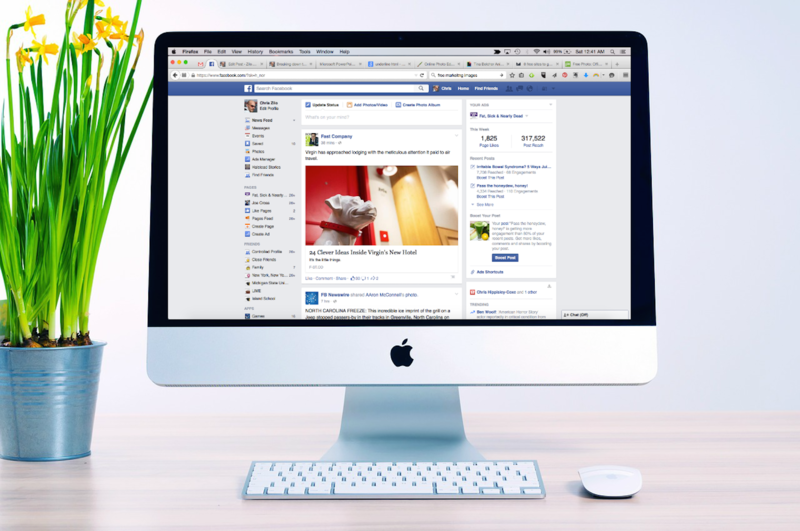 There simply isn’t room for “everything” and the competition for feed space is intensifying as Facebook grows… with the total number of pages “Liked” by the typical Facebook user having grown some 50% over the last year alone. That surplus of content and the lack of space in News Feed forces Facebook to filter the feed in an attempt to show the most relevant posts (and some ads) to each user while creating a compelling experience that entices users to come back…there is simply no way around it. That roughly 50% decline in reach over the past couple of years matches the 50% increase in the number of Page Likes per typical Facebook user over the same time period. As people Like more Pages, the organic reach of each page drops… – that fact has nothing to do with Facebook wanting you to buy ads. While technically it’s true organic reach is down, that fact is more an unfortunate by-product of the system and popularity of the platform than a malicious decision by Facebook, and it drives me NUTS when I see posts/articles that try to argue that it is simply a revenue generating strategy. 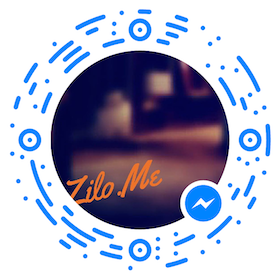 Facebook’s goal is to show people the most engaging posts out of all the ones they could potentially see each day, and keep members interested and engaged (otherwise members stop coming back and Facebook stops making money) and you have complete control over the experience your page provides to your fans. If you want to succeed in your community/audience building efforts learn everything you can about the platforms you plan to use in that effort. Everything changes – and typically it changes for the better. Instead of complaining about poor reach on Facebook – do something about it – it really is in your control. Learn best practice and experiment. It’s entirely in your power to change your results on Facebook. Like what I have to say? Make it easy for yourself, signup to receive all my posts (and more) via email.